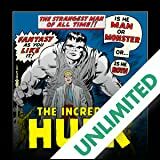 Collects Incredible Hulk (1968) #157-170. 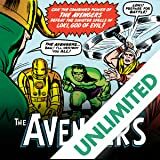 Artist Herb Trimpe is joined by writer Steve Englehart for another Hulk-sized Marvel Masterworks edition! But first, a trip to Counter-Earth, where Hulk confronts his most-hated enemy: Bruce Banner! Add in the Rhino and the Abomination, and the action and drama can't be contained! Then, Hulk heads for Canada where the X-Men's Mimic returns, and the Wendigo makes his first appearance! 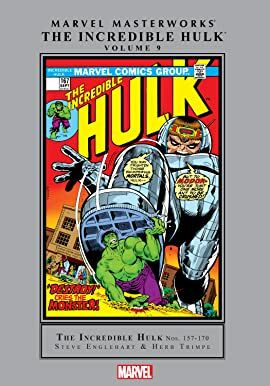 And Hulk's travels will take him both over land and undersea until he returns to the United States to unleash his vengeance on General Thunderbolt Ross! When the malevolent M.O.D.O.K. 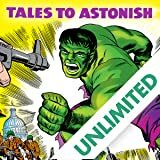 mutates Betty Ross into the Harpy, Hulk must save her - even if she's now married to Glenn Talbot - in an adventure that ends like every Hulk story ought to: with the green goliath battling giant monsters! Is he a man, monster or both? It's the Incredible Hulk, born of a gamma blast that scientist Bruce Banner was caught in. 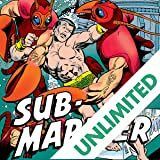 The first of a star-studded series of book-length epics featuring some of earth's greatest super-heroes! 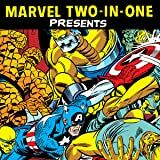 Brought to you by the legendary creative team of Stan Lee and Jack Kirby!